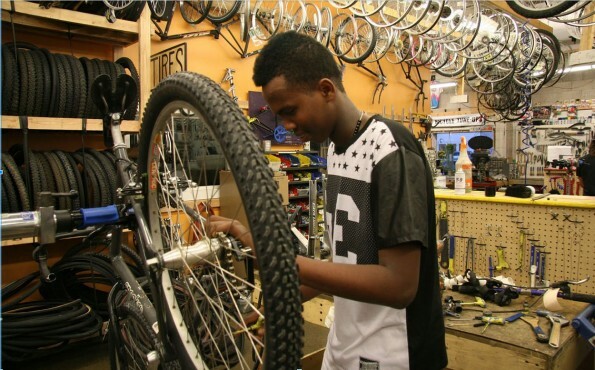 “I learn how to communicate with people, be kind to other people and I learn here, more English than in school,” says Badal Mouhoumed, a refuge from Republic of Djibouti, Africa, about the Bicycle Collective. 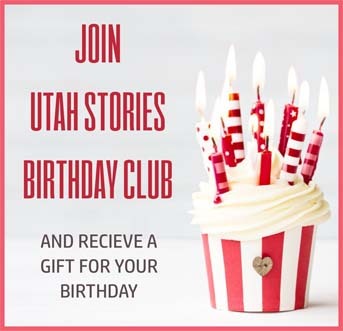 Mouhoumed, a seventeen year old High School student, immigrated to Salt Lake City over two years ago with his mother and four siblings for a better life. “Where I come from, no good education, you cannot go to college. It cost a lot of money to go to High School,” says Mouhoumed. “I was in a program that use to help me with my homework. I just heard about it. ‘Do you want to do a bike, they teach a class?’ Then I was taking the class six weeks, then I graduated, I finish and they give me bike,” says Mouhoumed of the “Earn-A-Bike” program at the Bicycle Collective. The “Earn-a-Bike” program is one of the Bicycle Collective’s more popular programs. 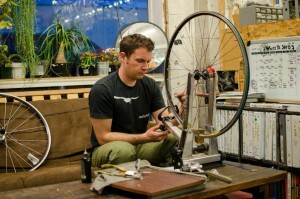 It is a six week introductory bike mechanics course offered for free to anyone ages 8-18. “Giving a kid a bike is nice, but giving a kid a bike that they earned is much nicer because the kid has an investment in their bike. You’re not just giving them a toy, you’re giving them a tool to participate more in their world,” says David Eyer Davis, Executive Director, Bicycle Collective. Mouhoumed’s bike gives him transportation to school and his part time jobs at the Bicycle Collective and the Golden Corral. He enjoys riding his bike for fun in the summertime. He is also an avid soccer player. “I started playing soccer when I was three years old,” adds Mouhoumed. “After High School I apply for a scholarship for Engineering. I can build a new bike, come out with new ideas, that’s why I want to study,” says Mouhoumed. 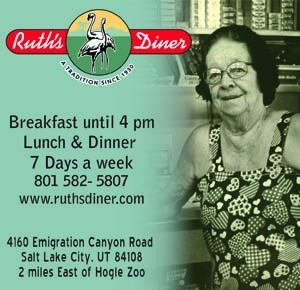 Additional locations in Provo, Ogden, University of Utah and Westminster College.